The Supra name has been in a close-knit relationship with racing for decades, and this tradition is bound to continue with the fifth-generation model. 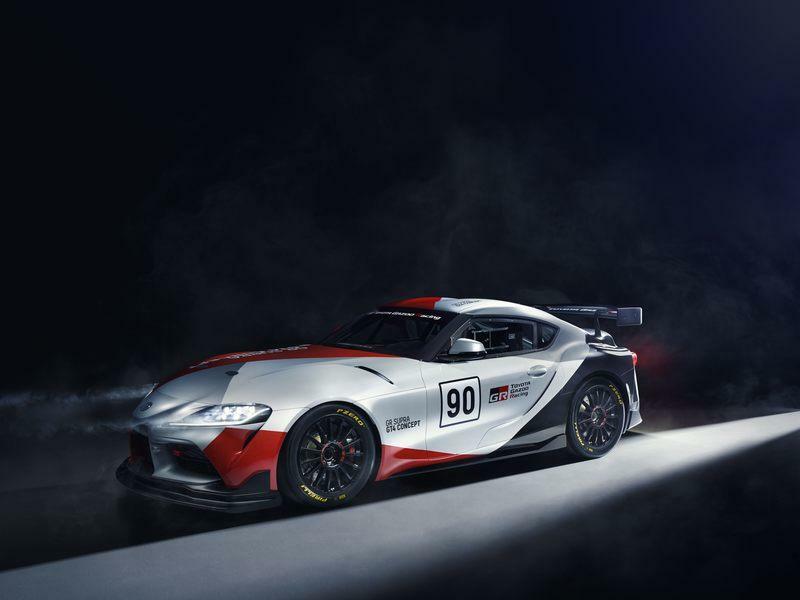 After announcing that the Supra will replace the Camry in NASCAR, Toyota now gives us a preview of what could be a very popular customer racing car: the Supra GT4, the company’s first factory-developed GT4 racer. The GT4 class is the baby brother of GT3: cheaper and less complicated to operate while also pertaining to closer wheel-to-wheel action due to the limited aerodynamic dependency of the cars in comparison to the GT3s. That’s why GT4 is, nowadays, a booming class just like TCR is in the world of touring car racing. Still, that doesn’t mean they are cheap. A Mercedes-AMG GTG GT4, for instance, will set you back $227,000 while the Multimatic-built Ford Mustang GT4 costs in excess of $260,000 but you can also go for something cheaper like the [$179,000 Porsche Cayman Clubsport GT4-art184037]. By comparison, any GT3 car is well over $400,000 to purchase. In this context, the Supra GT4 might become a very interesting entry-level GT4 option as it’s based on a not-so-expensive platform - it’s no McLaren or Mercedes-AMG GT. It’s also an official project, and that means it has credibility on its side right out of the box. Until now, if you wanted to go GT4 racing in a Toyota, your only choice was the GPRM-developed GT86 GT4 which never really performed on par with its rivals. Things must change now that the Supra is just around the corner. 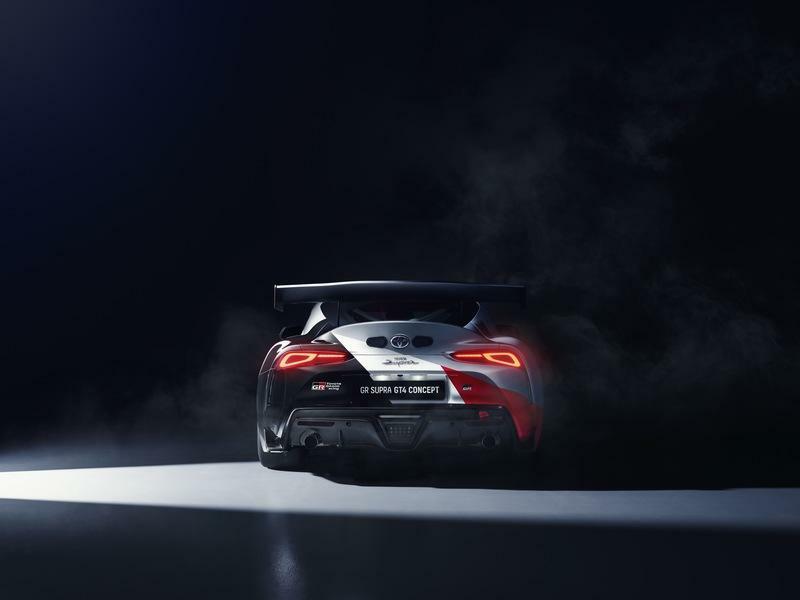 Update 3/12/2019: We’ve updated this review with fresh images of the 2019 Toyota GR Supra GT4 Concept that we took at the 2019 Geneva Motor Show. Check them out in the gallery at the bottom of the page! 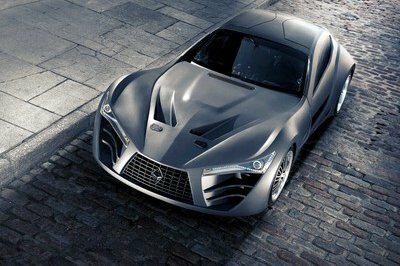 Toyota unexpectedly released today a batch of images showing yet another racing version of the A90 Supra. 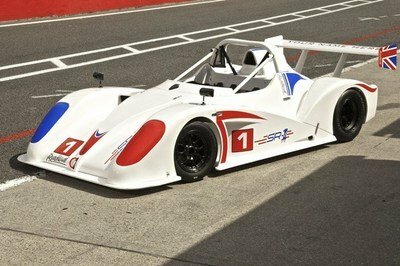 This time, the Japanese company’s sports car was dressed in the usual GT4 attire that comprises a rather minimalistic body kit, albeit very purposeful at that, center-lock racing wheels, a racing interior adorned with a full-on roll cage, and, we guess, a racing-tuned engine under the hood. 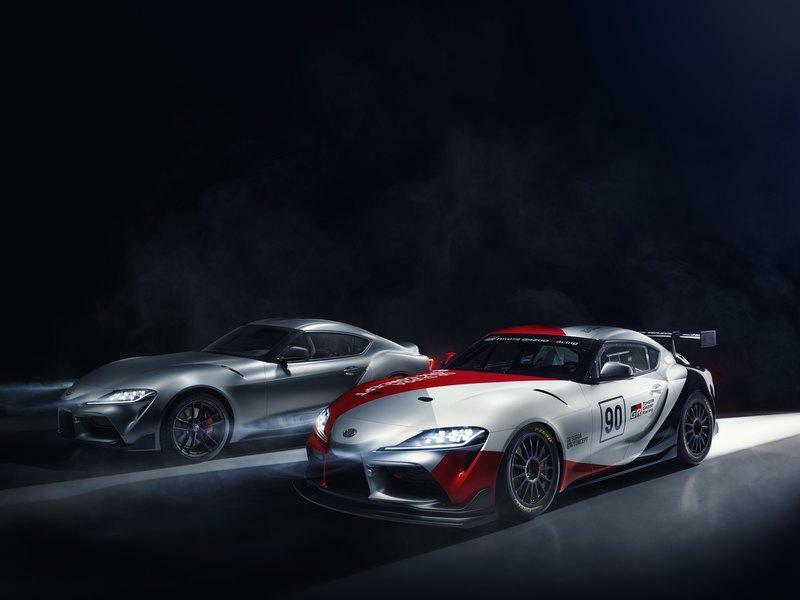 This may be seen as a logical step for Toyota although we were half expecting a GT3/GTE version too inspired by the Supra Racing Concept unveiled at last year’s Geneva Auto Show. The GT4 model is, likewise, still a concept and will also debut at the Swiss Auto Show but, this time around, we reckon this 'concept' is much closer to the finished product. The GT4 Concept was developed by Toyota Motorsport Gmbh, the German motorsport division of Toyota based in Cologne. The TMG organization is behind all four of Toyota’s Team’s titles in the WRC as well as all of its Le Mans prototypes since the TS010 that debuted in late 1991. Founded in 1979 be rally driver Ove Andersson, who was successful behind the wheel of Toyota Celicas in both rallies and road racing, it’s currently a fully owned and controlled entity of the Japanese manufacturer. To make the Supra ready to tackle all of the machines that race in GT4, TMG got to work optimizing the car's aerodynamics. The 172-inch two-seater received a two-step protruding splitter up front that wraps around the front bumper and features vertical winglets just before the front wheel arches. The car itself isn’t wider than the road-going model’s 73 inches of width (62.8 inches front track and 62.6 inches rear track respectively), but the wheel wells are now filled by Pirelli P-Zero slicks that wrap around black 16-spoke wheels. From the side, you’ll notice the side skirt of the production model has been kept, and the only key difference is that the standard windows were ditched and, in their place, TMG put plastic ones fitted with just one strip that’s actually moveable, like on any other race car. In the back, there’s a big wing that extends across the full width of the car and features large endplates. The wing might be too big to be allowed under GT4 rules, but this we'll find out once we see the final production version. A good example of this is the Ginetta G55 that can be run with a wider wing in Supercup specification in comparison to the narrower and shorter GT4-spec wing. The diffuser is almost the same as on the production model, with two exhaust tips coming out, although it features an added rain light. Inside, the GT4 Concept reveals a cabin that doesn’t look that different. The dashboard is virtually unchanged, other than the addition of a multi-functional OMP racing wheel. You still get the main infotainment screen in the middle as well as the other digital screen behind the steering wheel. All the buttons on the center console are still there too, but the big difference is that the stock seats were sent to the crusher and, in their place came two OMP bucket seats. Of course, the production GT4 variant will only have one seat, but this concept allows us to dream of passenger rides in between the metal bars of the roll cage. Toyota didn’t say anything about performance, so we have to do some guesswork. 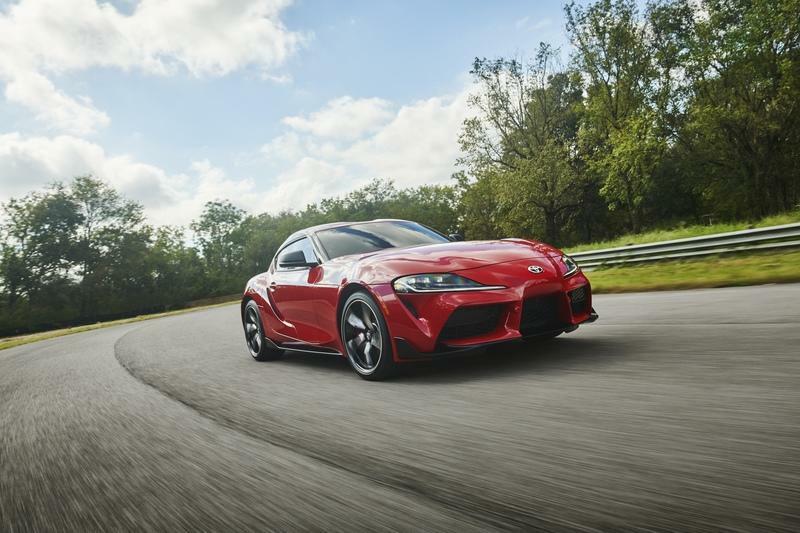 For starters, the stock 2020 Supra puts out 335 horsepower and 365 pound-feet of torque from its BMW-sourced 3.0-liter, naturally-aspirated, inline-six engine. In street trim, the engine is mated to a BMW eight-speed automatic transmission that sends power to the rear wheels. In this guise, the Supra goes from naught to 60 mph in just 4.1 seconds with launch control (0.2 seconds slower than its brother, the Z4 which benefits from 47 more horsepower) and on to an electronically limited top speed of 155 mph. If, indeed, the Supra GT4 will be based on the standard Supra, and not the souped-up GRMN version that’s said to be in the works, TMG has its work cut out to extract extra oomph from that six-pot because the Supra, as it stands, is underpowered. The least powerful GT4 race car right now is the Ginetta G55 GT4 with 385 horsepower. It has five horsepower over the first-generation Porsche Cayman Clubsport GT4, but that model [got updated and now boasts 425 horsepower, so the British Ginetta is the slowest of the bunch. In GT4 competition, there’s a Balance of Performance (BoP) system in place, just like in GT3, that aims to create a level playing field between cars with engines in the front, in the middle, and in the back. One of the premises of the BoP system is to peg back more powerful cars enough so that the least powerful car can keep up. That’s why the McLaren 570S in GT4 trim puts out no more than 420-430 horsepower while the car you can buy and drive to the shops churns out 562 horsepower from its M838TE 3.8-liter, twin-turbocharged, V-8. In my mind, there's no way the GT4 Supra will be racing with the stock 335 horsepower because that would mean slowing down the rest of the guys way too much. Instead, I think TMG will find a way to boost power by at least another 50 to 70 horsepower to at least make it comparable with the G55. Oh, and talking about Ginetta, a new sports car was just unveiled and that means a new GT4 version isn’t too far into the future. 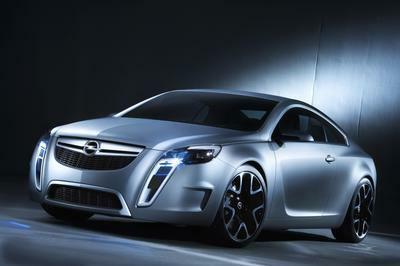 Also, the eight-speed automatic will be exchanged for a six-speed sequential most likely. Naturally, bigger brakes are on order, adjustable gas-filled dampers, different springs, anti-roll bars, an LSD, and all those other stuff that will definitely make the Supra GT4 not cheap. However, the trick here is to make it inexpensive when compared to its prestigious rivals. I’ve touched in the intro a bit on the matter of prices, so you know already these things aren’t cheap to buy and, frankly, purchasing a race car is the easy bit. It’s a whole lot harder to maintain it and campaign it competitively over a season’s length. So, Toyota must look at the cheapest GT3 car of 2019, the Ginetta G55 GT4 that costs somewhere between $110,000 and $120,000 new. That’s as much as $70,000 cheaper than a Cayman or $80,000 cheaper than the quirky KTM X-Bow GT4. It’s also over half as expensive as the $245,396 Audi R8 LMS GT4. There are more expensive options out there too, and if Toyota can put out a competitive package for about $120,000, people will come undoubtedly. Another reason why Toyota must price its GT4 contender way below its on-track rivals is that Toyota isn't known for its GT4 race cars. Porsche, for instance, has been in the GT4 arena since the category debuted, in 2006. But the first GT4 Toyota was unveiled six years ago and wasn’t even a full-fledged factory-developed car. Instead, it was developed by British tuner GPRM with the blessing of Toyota. The base for that little racer was Toyota’s only sports car at the time, the GT86. It featured the same 2.0-liter, inline-four engine as the street-legal version but, thanks to a turbocharger, power went up from 197 horsepower to almost 400 - more than the Ginetta G55 you can still purchase today! Sadly, all that oomph didn’t help the diminutive Japanese car to make a name for itself in the British GT where it predominantly competed. In spite of this, GPRM stuck with their creation and, last year, Steller Motorsport was still using the GT86 GT4 in British GT, be it a heavily updated version. It has to be said, though, that the Steller Motorsport GT86 was a car created by the team as a re-engineering effort over the GPRM-built GT86. Did all the work yield some notable results? Well, not really. First of all, it has to be said that the car ran in the Invitational class for non-homologated models in 2016 and 2017 but, last year, its best result in the densely populated GT4 class was an eighth-place finish at Brands Hatch in round six of the championship. So Toyota must fight to prove to customers that the BMW engine is reliable (the GT86 CS-V3 cup racer was an effortless race finisher in the Nurburgring 24-hour race with the four-pot Toyota engine) and that the car is as fast as anything from BMW, Porsche, McLaren, Mercedes-Benz, Audi, Ford, or Chevrolet. 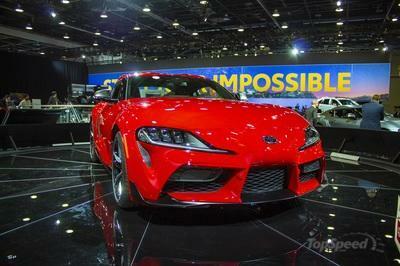 Final Thoughts - What are Toyota’s Other Plans for the Supra? As you know, the Supra will replace the Camry in NASCAR and, also, the Lexus LC500 in the GT500 class of Japan’s Super GT championship. The NASCAR version is, in my mind, an abomination. I’m not referring to the fact that it’s not actually a Supra, that much goes without saying, it’s just that this nameplate has nothing to do with stock car racing. The Supra will first replace the Camry in the NASCAR Xfinity Series. As in the Monster Energy NASCAR Cup Series, the Xfinity cars are powered by 5.8-liter, naturally aspirated, pushrod V-8s with carburetors developing anywhere between 650 and 700 horsepower and up to 520 pound-feet of torque that reach the back wheels through a four-speed manual. Beyond all the technical stuff, the return of the Supra nameplate in Super GT is a welcomed one what will be, by 2020, a 14-year hiatus. The Supra first debuted in what was then the JGTC in 1995 when the racing version was, obviously, based on the fourth-generation (JZ/A80) model. If you’re a fan of the GranTurismo series, you’ll most likely remember the Castrol-liveried Supra GT500 that raced in the series between 1996 and 2000. Throughout its JGTC/SGT career, the Supra picked up four titles (in 1997, 2001, 2002, and 2005) and underwent numerous modifications as the GT500 class drifted further and further away from its original ruleset that basically allowed for GT1-spec cars (the same as those run in the GT1 class of the BPR Global GT Series, for instance) to compete in the top-flight category which was even named GT1 at the beginning before the switch to the GT500/GT300 nomenclature. There is also some hope, as I mentioned before, to see the Supra race in races such as the Spa 24 Hours that’s dedicated to GT3 race cars. All this wishful thinking started when Toyota unveiled the Supra Racing Concept that looked oddly similar to a GT3 car or, even, a GTE car. Having said that, I reckon Toyota won't send the Supra to Le Mans as long as they're still active with Gazoo Racing Team in the LMP1 category. Looking back, the same overlapping situation happened in 2012 when TMG was preparing a GTE-spec Lexus LFA that was promptly shelved when the FIA and the ACO asked Toyota to speed the development of their P1 car up after Peugeot unexpectedly withdrew overnight. But a GT3 car is plausible if Toyota chooses to replace the Lexus RC-F GT3 that’s currently representing the company as a whole in this category. 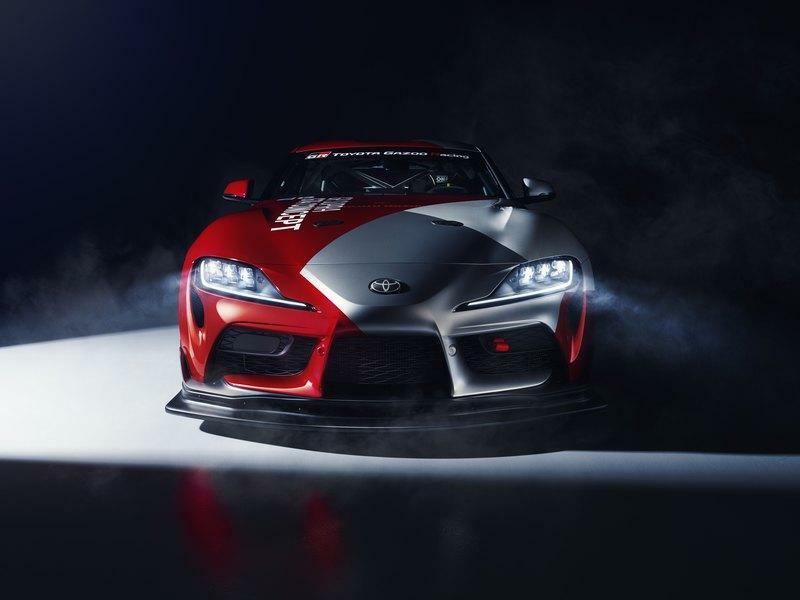 But, before all these plans become a reality, Toyota already has a race-ready version of the Supra: the Supra GRMN it raced in the last round of the 2018 VLN championship at the Nurburgring. We first spied it testing at the Green Hell in early October, and we thought then that it’s a mule for the road-going Supra GRMN. However, we were soon to find out that it’s just a Supra lightly modified for racing. 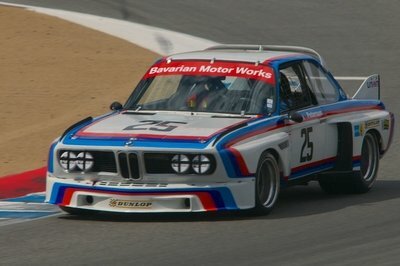 The car ran in the SP8T class for cars with an engine capacity of up to 4.0-liters. It finished in a lowly 116th place overall but that didn’t matter because it’s all part of the car’s development program. Even Toyota’s CEO, Akio Toyoda, drove the car in the race along with Hisashi Yakubi and Herbert Daenens.